The first orange leaves have fallen from the trees, which means Halloween is just around the corner. Get your pumpkins carved and your faces painted, because Breakout are celebrating in style this year! Breakout Liverpool have spookified Shipwrecked ready for Halloween celebrations this year, look out for cobwebs, creepy ghouls and maybe a few hidden surprises along the way... Can you find Captain Chivers' treasure before his ghost finds you? If you've already played Shipwrecked, then we have some ready-to-scare rooms that are creepy all year round; The Facility and Vacancy. The Facility is based in the laboratory of Doctor Andrews; a reclusive scientist known for his unorthodox experiments. In the past few months, he has been working on a new experiment which is ready for human testing, and unsuspecting victims have been seen going into the lab but not returning. Or you can always check in to the Crimson Lake Motel in Vacancy – don't be put off by the guestbook, it's normal for guests to never check out here... So put down your bags, get some rest, or try to escape before the killer finds you! If you're not close by to Liverpool, our sites in Manchester, Chester and Cardiff have their own versions of games fit for a ghoul. Manchester and Chester both have a copy of Vacancy, and Chester, Manchester and Cardiff have their own copies of Disturbed. 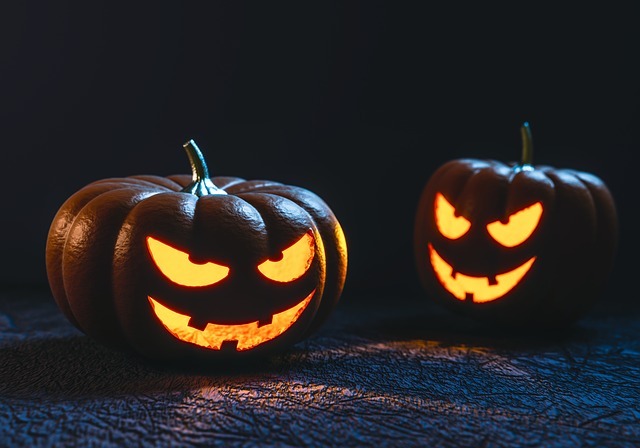 So if one of these spooky settings has caught your eye, make sure you book in soon to make your Halloween extra creepy – who doesn't love being locked in a room on the scariest night of the year?